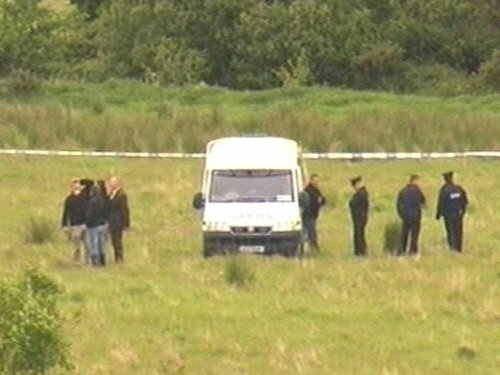 The body of a man in his 30s has been found in a field in Ballough in north Dublin. It is understood the victim may have sustained gunshot wounds and may have died elsewhere before being taken to Ballough. A murder investigation has now begun. The discovery was made in a field in Ballough, around 6km outside of Balbriggan town. The scene of the discovery is close to the M1 motorway, but is only accessed by country lanes. At a news conference this afternoon, Garda Superintendent Joseph Shelly confirmed that members of the Garda Technical Bureau and the Assistant State Pathologist have both attended the scene. He said a number of areas within the field remain sealed off, pending forensic examination. It is thought the body may be that of a 34-year-old man from Finglas who has been missing for a number of days. The missing man's car was found last night in the Balbriggan area.